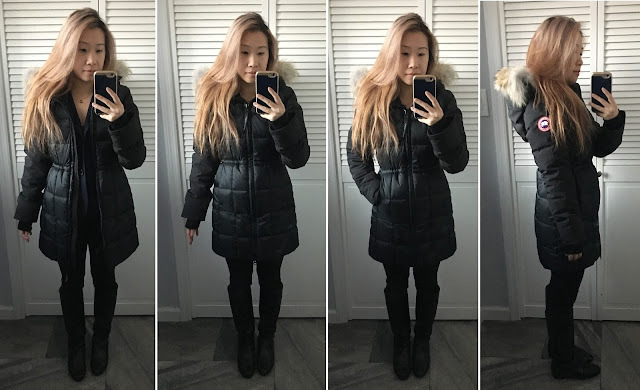 I had thought I found the perfect coat in the Parajumpers Selma Fur Trim Down Parka as mentioned here but after finally getting to wear it out a few times in really cold weather (about 30 degrees F), I was still feeling the bone-chilling cold through it. 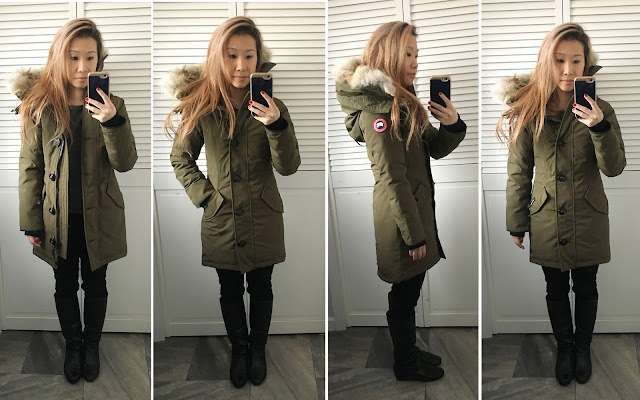 Because of that, I ordered the Canada Goose Victoria Fur Trimmed Parka when ordering my mom a new winter coat for Christmas to try on.. When I got it, I was really surprised at how fitted it was through the body, which can be adjusted inside by bungee cords on each side. The sleeves are too long like they are on the Parajumpers Selma but is not so bad since the ribbed cuff can be tucked inside. I decided to test it outside and was really surprised at how much warmer it was because I didn't feel cold at all while only wearing a thin shirt underneath. 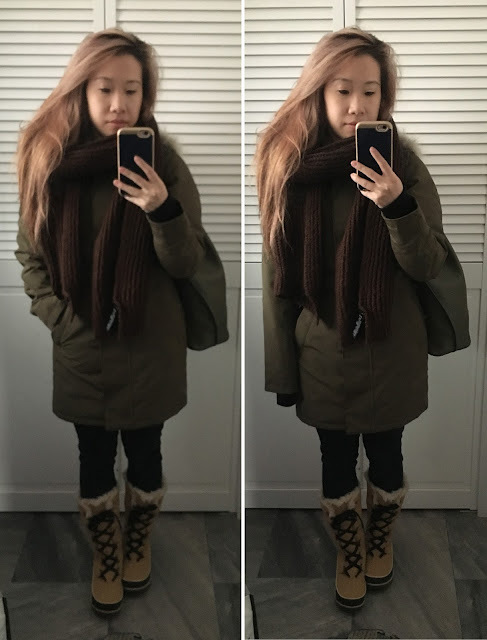 I always wanted to stay away from Canada Goose like I said I'd stay away from UGGs here, but I guess I have no choice now if I want to be really warm this winter, and I really do! It's interesting to note that my Victoria has buttons after the inner zipper is zipped up but some versions I see on other websites show velcro. I definitely prefer buttons to velcro so my gloves and other items won't get stuck or ruined on the velcro. 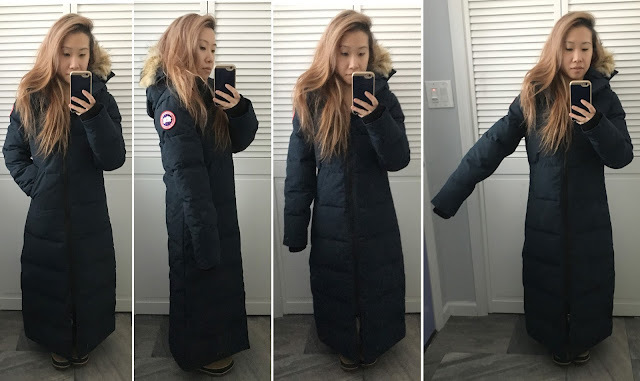 Since I want to be absolutely sure about my purchase this time, I am also going to pick up the Canada Goose Trillium, Lorette, Kensington, Shelburne, Chelsea, Rossclair, Chilliwack, Montebello, Whistler, Rideau, and Beechwood to try on in size XXS to compare with the Victoria. I did also order the Canada Goose Mystique to see how that would look since I'm a fan of the longer length for more warmth but this literally felt and looked like I was wearing a sleeping bag!